ZACL has a dedicated and highly trained Fire and Rescue Service team who are always on standby in case of emergency. The brave men and women of this unit are also trained in First Aid with their principle objective being to save lives in the event of an aircraft accident or incident. The Fire and Rescue Services team will respond to all aircraft emergencies within the airport's boundaries and will also respond to 'off airport' incidents that fall within an eight degree cone from the end of each runway. All incidents that occur outside of the airport boundary are the responsibility of the local authority Fire Brigade and rescue service serving that location however special requests are sometimes made by the local authority and dependent on circumstance, major foam tenders may be dispatched as aid. 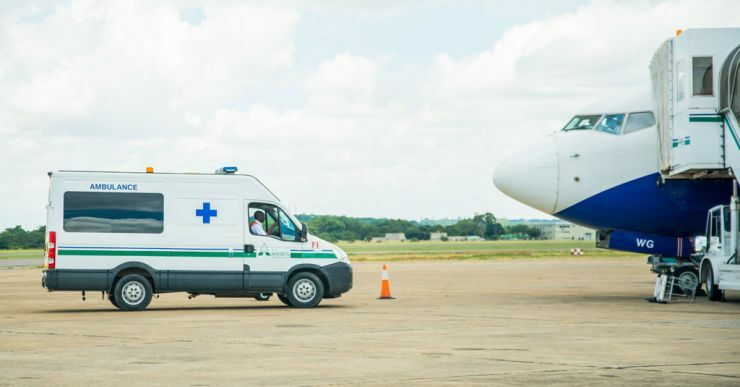 Available 24 hours a day, every day of the year (only at Kenneth kaunda international airport), the Fire and Rescue Service team provides a wide range of emergency services including first aid and transportation.